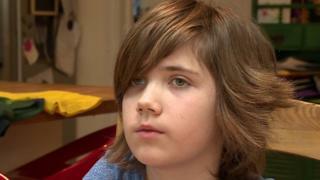 An 11-year-old boy has received £42,000 in compensation after his family said his cub scout group discriminated against him for having autism. Ben Gleeson joined a group in Hertfordshire in 2015, but was later told he could not go to camps or take part in athletics without supervision. His family sued the group – saying it amounted to a ban – and the dispute was settled out of court last year. The Scout Association said it had apologised and started an inquiry. Ben joined the 10th Harpenden Scout Group in January 2015, having previously been a member of the beavers. His parents said they explained his autism to the scout leaders and suggested strategies to help calm and distract him, should he get upset. They said his autism manifested as anxiety to change and that he needed to know plans in advance. They said that although few people would realise he was autistic on first meeting him, if something unpredictable happened he could become distressed. In March 2016, Ben had a short episode at a cub scout camp in which he became distressed. He tried to run a short distance from the rest of the group at an indoor venue after he was asked to change into a pair of shoes he could not find. Later, he said he did not want to join an egg-and-spoon race because of a phobia of spoons. Soon afterwards, the pack leaders said Ben could not travel with the rest of the group on a bus to events or participate in athletics. They also said he had to have one-to-one supervision at other events. The scout group said the decision had been made for the health and safety of the whole pack. However, Ben’s parents – who are both lawyers – argued the decision effectively amounted to a ban. While she accepted her son needed some extra support, Ben’s mum, Beverly Gleeson, told the BBC the decision was a “complete overreaction”. She said the decision would “single Ben out” and that she feared it would make him “feel different”. “I felt he didn’t need it. He didn’t have this level of supervision at school. He’d made one mistake and then that was it, they wanted to make the rules and regulations. It was supposed to be a dialogue,” she added. “I don’t like the idea of someone following me all the time,” he added. The family eventually sued under the Equality Act, as well as for breach of privacy and under data protection legislation – claiming emails and a briefing to parents had identified them. Insurers for the Scout Association settled the case out of court, paying the Gleeson family £42,000 plus costs. The Gleesons have donated some of the money to a local autism charity, while Ben’s portion is being held in a trust. “The handling of Ben’s case was completely unacceptable. “We are very sorry that Ben and his family were not supported as they should have been by their cub scout pack, and we have made a personal apology to them. The association said it was also looking at plans for mandatory training for all adult volunteers on “how to make reasonable adjustments for young people with developmental disabilities”.